I’m heading to New Orleans this weekend for NOLA StoryCon, which means urban fantasy goodness all weekend long. 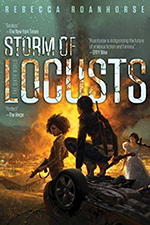 While Chloe Neill won’t be at this event, I’m super excited for her next book in the Devil’s Isle series The Hunt, which hits shelves later this month. The VBC team has loved every installment of this series. Southern style meets urban fantasy with the well-crafted casts we always love from Chloe. If you’re a Chicagoland Vampires fan and haven’t yet tried this other series, I’ve got you. 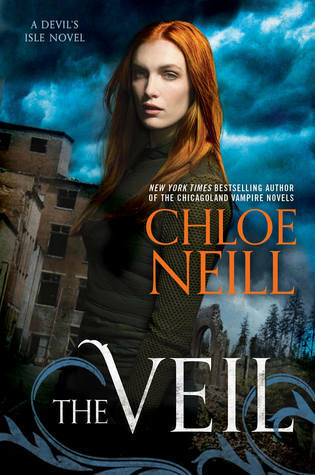 I have one copy of The Veil, the first book in the Devil’s Isle series, to give to a lucky VBC reader. Standard rules apply: Fill out the Rafflecopter form below to enter. You do not have to share on social media, but you do get bonus entries. Same goes for the email sign-up, which will get you VBC stuff, book recs, and book updates from Chelsea Mueller. I will be starting Heaven on Earth by Mari Carr and Jayne Rylon today. The Protectors Damon by Teresa Gabelman I’m re- reading the series so Im all ready for The Invisible Warrior on the 19th! I’m re-reading A GAME OF THRONES by George RR Martin. 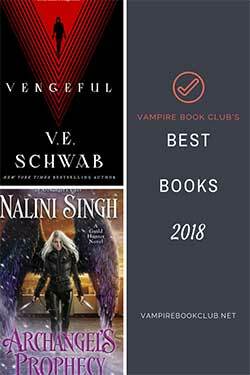 I’m currently rereading Nalini Singh’s Guild Hunter series – Archangel’s Legion at the moment. Her stories are always so fantastic — fun and intense! LORD OF SHADOWS by Cassandra Clare.